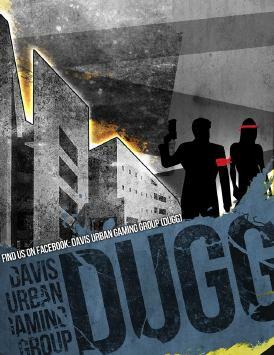 Davis Urban Gaming Group (DUGG) is a UC Davis club dedicated to all things NERF-war related. We host games every Saturday at 8PM at the Death Star ground floor. Games vary from Team Deathmatch, CTF, Humans VS Zombies, Alamo, Infection, and numerous other variants and formats thereof. DUGG also hosts the quarterly week-long campus-wide game of HumansVsZombies at the beginning of each quarter. See their event listing on Facebook for info on their next game.